We just left India two days ago. While I was in India I kept thinking of how I would start my first blog post about the country. I imagined the first sentence would say the following: India has been, shockingly, underwhelming. Now that I have arrived in Nepal, after not getting on our train out due to Bloom’s possible e. coli, waiting 24 hours, booking another train, arriving at the train station to discover it was cancelled, and then ending up in two very expensive taxi rides, and finally arriving in Nepal 17 hours after leaving India, I have realized how overwhelming India actually was. In Nepal I can hear birds, without hearing people yelling or the constant honk of horns. I am not constantly trying to step out of the way of cows, or their excrement, and, my favorite thing so far, there are sidewalks in this small town of Pokhara, Nepal! My least favorite thing about India, and about much of the developing world actually, is the constant fear of being hit by a speeding, honking rickshaw/motorbike/car/jeep/truck. This is not an irrational fear, since I have been tapped by a few rickshaws, and, due to the lack of pedestrian space, there have been many times when I have stared a driver in the face as he drove straight at me, finally coming to a screeching halt while, obviously, honking. Anyway, Nepal, after two days, seems pretty peaceful and a world away from India. But, I’m getting ahead of myself. We flew from Kuala Lumpur, Malaysia to Cochin, India on our favorite budget airline AirAsia, which we used for almost all of our Asian flights, due to the fact that it is ridiculously cheap. Our flights to India were $80 each, and this was only because we couldn’t commit to a date for the flight. Originally, when we first looked at flights to India the flight was $40 each. We missed out. Before we left the Cochin airport I braced myself for the madness that was soon to come. I gathered my bags, held them tight, preparing to be jumped by dirty beggars and street children who would grab my bags and run away laughing and yelling, and walked out of the airport. It was hot and sunny. There were some cars. People were picking up their families, and loading their luggage into their cars. No one even looked at us. No one approached us. Where the hell were we? Laos? We had been accosted and harassed in many airports, but not in Cochin. We didn’t know where to go. We had assumed someone would bully us into getting in a taxi, but we saw no taxis. I actually had to ask where the taxis were, and I was given no reply. Weird. We finally found a bus and got in. It took more than two hours to get to the touristy area of Fort Cochin, and the bus was very crowded, but I was imagining insane poverty, horrible crowds, chickens on the bus, etc. That did not happen. When we arrived in Cochin we had no idea how to get to our pre-booked hostel, and we saw no one on the streets to ask directions from. This was shocking, and yes, underwhelming. Eventually we found the hostel, only to discover that they did not honor our booking and so we were put in the hostel next door. It was more than $20/night. Where was this cheap India I had heard all about it?? Where were we? We were exhausted and hungry, so we went to the center of town to find some food. Everywhere we looked served meat. Where was the glorious bounty of vegetarian food everyone had raved about? We finally found a veg place, only to discover that it was both overpriced and bland. Bland Indian food! Whaat!? I was depressed. This India sucked. We should’ve stayed in Southeast Asia, at least there we knew what to expect, rooms were cheap, and happycow.net told us about all the good veg restaurants, and although people harassed us, at least they helped us get to where we needed to go. The next day we looked for a new hostel, only to discover that they were all overpriced. Although, we did find a cheap vegetarian restaurant, so that was a positive aspect of the day. The hostel situation was a mess, and we ended up overpaying for an absolute hole, where they were doing construction on the room below us. The owner had promised us there would be no construction, and I was such a mess about India being lame and overpriced, that I stormed out of the hostel, found a new one, went to get Bloom and our bags to move to the new one, only to discover that the savvy businessman/owner of the new hostel had given away our room to some Europeans willing to pay even more for it. At that point I broke down and sobbed. Literally. The family living below the new hostel looked very worried about me and my sanity, and brought me into their home and made me drink tea. They then scolded the businessman who shrugged. I thanked them for their kindness and we left to find somewhere else. Never fear, eventually we found a not too overpriced place, filled with an ant nest nevertheless, which I didn’t mind actually, since I was too busy being completely amazed that so many ants had made their way into our room. I had never seen anything like it. “Their queen must be here!” Bloom kept saying frantically while blowing on the castle of ants, “we just need to find her and get her out, and they’ll follow her.” I found this whole idea of Bloom searching through millions of ants for an ant queen hilarious, and I was cheered up. We went to Chabad for shabbos. This was to be our first of many shabbatot with Chabad in India, which we discovered is mashichist (they believe the Rebbe is (was?) the messiah). The rabbi and his wife were a nice, friendly young couple, but the constant yechi adoneninu’s really threw me off, and made it difficult for me to focus on anything else. The rabbi wore a pin of the yellow mashiach flag on the lapel of his long black jacket. He said yechi adoneinu before saying brachas, before and during bentching, before making a l’chaim, etc. I was more fascinated than disturbed by all of this, and I wished that it would have been socially acceptable for me to ask the rabbi about it. I wanted to ask, “If the mashiach already came, then how is he dead?” “If the mashiach already came, then why are you following halacha?” “If the rebbe is mashiach, then where is he?? ?” I thought this would be rude. They had graciously invited us into their home, and it felt…well…inappropriate to start making accusations about their mashiach. But don’t worry, eventually I found ways to ask these questions to other chabadnikkim, who had some awesome answers. 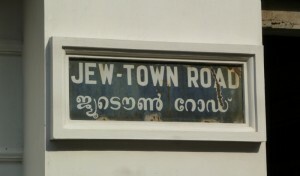 One of the highlights of Cochin was the neighborhood called Jew Town. Yes. JEW TOWN. Amazing. This is where all of the Jews lived. 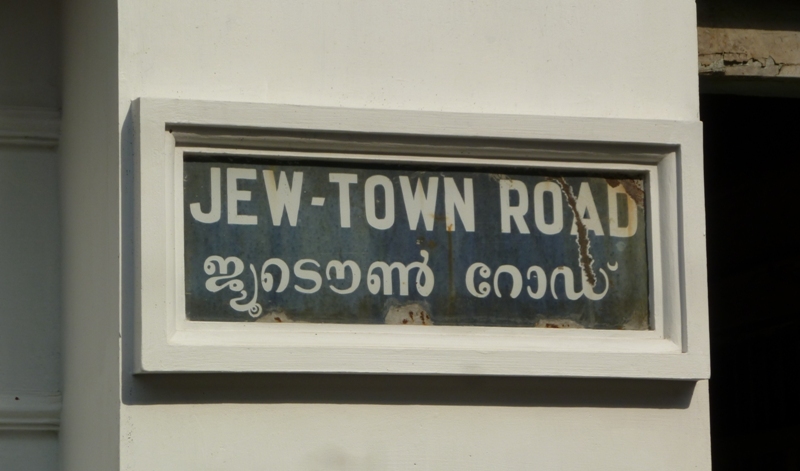 Cochin used to be a hopping town filled with Indian Jews. There are not many left, since most of them moved to Israel, which is a shame for the community. There is not even close to a minyan of Indian Jews at the shul, and it is actually used for the chabad minyan on shabbos, and a museum during the week. 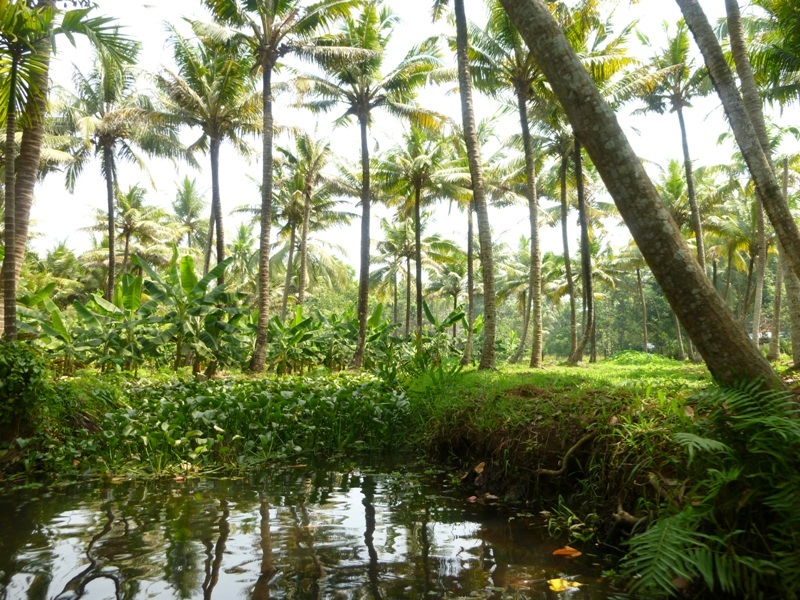 Another highlight was the backwaters tour, which was taking a small canoe through the Keralan backwaters. It was pretty, and we met some good people. Our next stop would be Mumbai. We attempted to book a train to Mumbai only to discover that they were all full. This was another terrible Indian letdown. Everyone had raved about Indian trains. They’re so easy, they’re so fun. This was not easy. All of the trains were booked, and on our next leg, leaving Mumbai to head to Rajastan, all of the trains were booked as well, and we never made it off the waitlist. So much for ease! In every other country we had booked a day or so in advance and almost never had a problem getting seats on buses or trains, so this was very frustrating. Again, I was surprised that I was not frustrated by crowds, or public displays of defecation, but by aggravating Israeli-style bureaucracy. And so, we booked a flight to Mumbai, and we were off to what became one of my Indian highlights.